A big congratulations to Tricia Hayes, PBi’s newest Placenta Encapsulation Specialist® in Thousand Oaks, CA! Tricia lives with her husband and two amazing sons, aged 12 years and 18 months. Yes, she’ll this brave woman will be entering the teens and the twos at the same time! She saw her first placenta when she was 15. Her cat gave birth in her closet and Tricia watched in horror and complete awe as the cat consumed the afterbirth. Tricia thought that there had to be a reason, but then quickly tried to erase the visual picture from her mind. Years later, pregnant with her second child, she overheard a woman talking about getting her placenta put into capsules. She researched the benefits and was instantly sold. All the benefits, the energy, the great milk supply, and the protection against the baby blues, in a capsule form – a method of ingestion that she could believe in and stomach! When a placenta encapsulation specialist tells others of either her personal experience, or the experiences of others, almost every woman we speak with responds that they have never heard of the benefits of consuming one’s placenta. Many women tell us of their experiences with postpartum depression, fatigue, and lack of milk supply and that they wished they had known about placenta encapsulation. Education, information and spreading the word is a primary goal of Placenta Benefits. Thank you for helping us spread the word in the Thousand Oaks, CA area, Tricia! 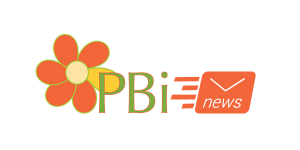 Placenta Benefits.info (PBi) has the best training program and network of resources available for those seeking a career in natural postpartum care. Clients can trust PBi Specialists to provide the highest quality placenta encapsulation services available, and know that we will take care of them quickly, safely and professionally.